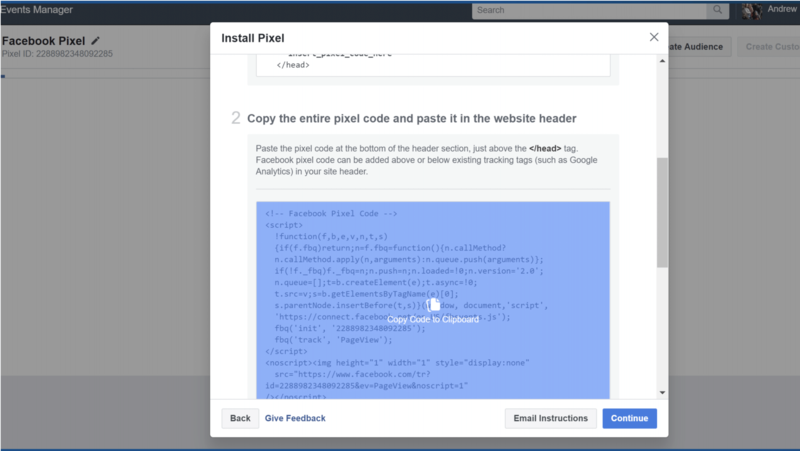 Facebook conversion campaigns use the FB pixel embedded on your website to track when potential buyers interact with your website. 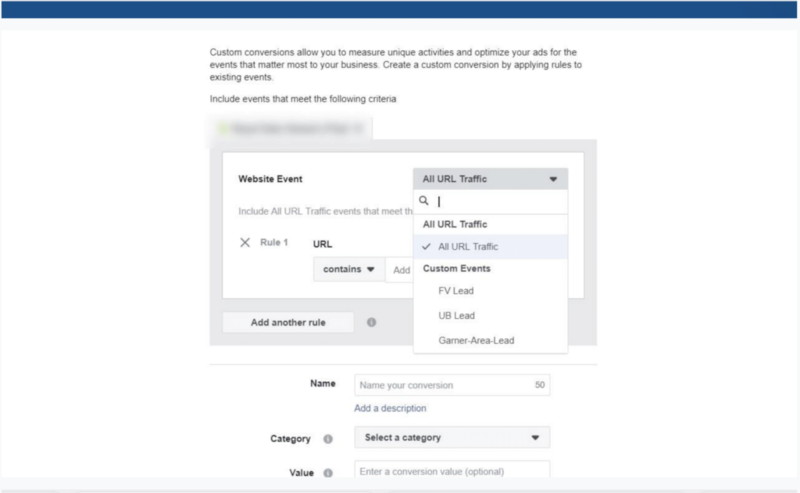 We (marketers) define for Facebook an action on our website that our potential buyers complete and call it a custom conversion event. 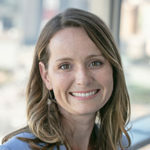 Facebook then gathers data about the potential buyers which complete this event and uses the AI to find other people in “Facebook-land” that are likely to take the same action. 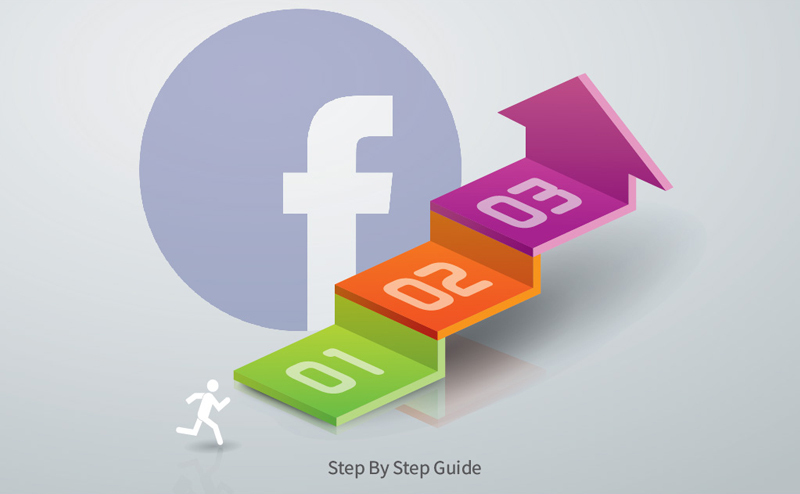 Below is a step-by-step guide to starting your first conversion campaign with Facebook & Instagram and start selling more new homes with your marketing. First you will need to have your web developer post a snippet of code in the header of your website. 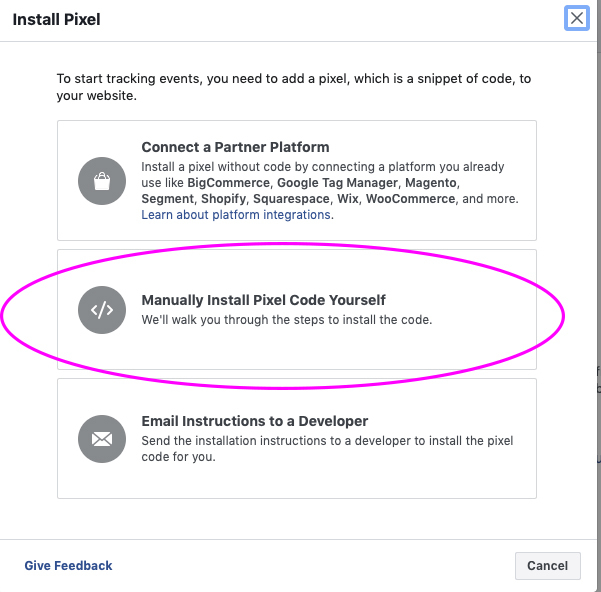 To get this code go to your fb business account click on the hamburger menu and select Pixels. The window will prompt you to add your url under the pixel’s name then click the create button. A neat copier button pops up to make sure no code is left behind. Click to copy. 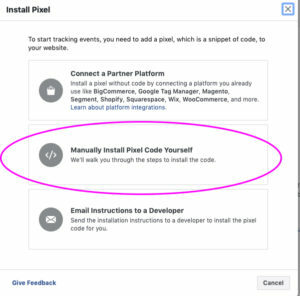 Paste all the copied code into an email to your web developer asking them to place it into the header of your website just above </head> tag. Once your web developer has placed the code the fun begins.  Your pixel has now been installed. Back in FB Business Manager, select Custom Conversions. Now we get to tell FB what we want it to count as a conversion. And create your custom conversion by selecting the type of website behavior that you’d like to see. Select view content in the category’s drop down menu. Name your conversion something that is easy to understand, and save. Now hop over to the Ads Manager and create a new ad. 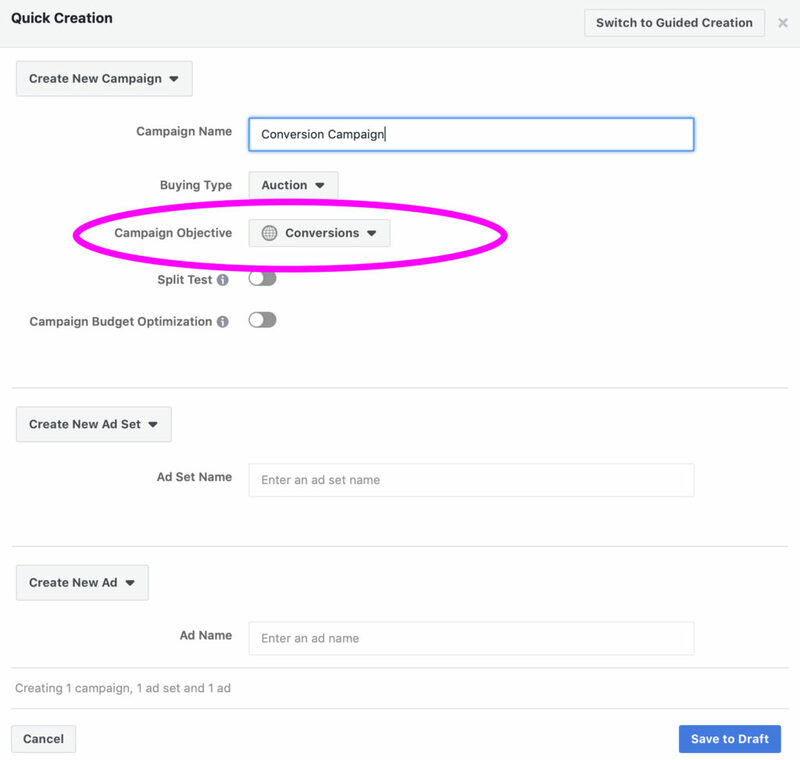 Make sure you select Conversions as your campaign objective. When in the ad set make sure to select your custom conversion. You can define these as any action you’d like that you’d consider to be a “quality” traffic indicator. Finish your ad as normal and once published the conversion will begin tracking and put the AI to work! Targeting rules have changed again on the Facebook platform, so make sure you set your location to 15+ mile radius, and pretend the age & gender targeting do not exist (ie: don’t change them). You will be ready when FB turns off these capabilities very soon. Check out the full podcast episode for more clarity on the matter. 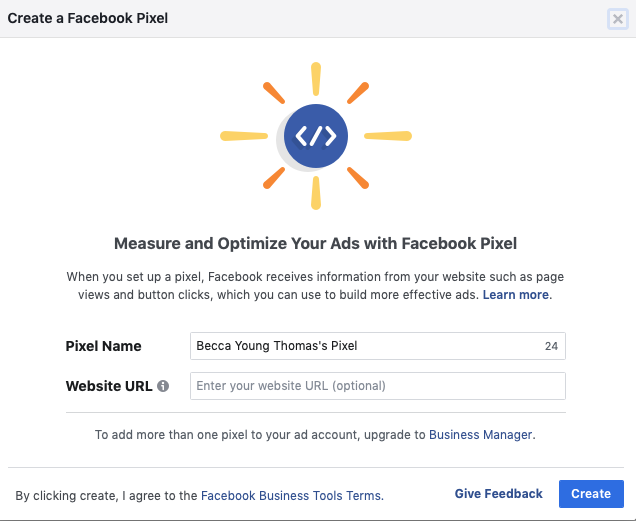 Because we are defining for FB the actions our most likely buyers make with a custom conversion, we are making it easier for Facebook’s AI to find more users most likely to complete that same conversion. As a result, we are able to increase our reach and decrease the cost per conversion. 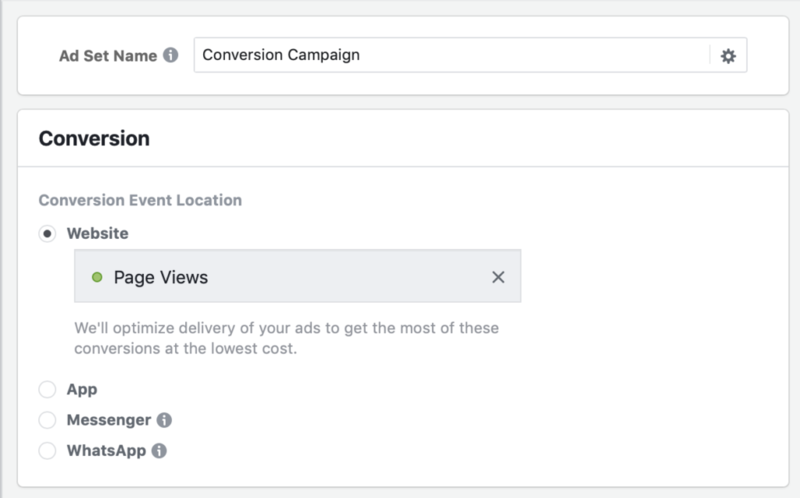 The other really cool unintended consequence is that the people who are served the ads but do not convert are still seeing your ads so you get a little brand awareness built in to your conversion campaigns too! We’ve seen this positively impact walk-in traffic and organic searches for the builder’s brand name as well. Happy campaign building!